In order to start using Datamolino services, you will need to create an account. 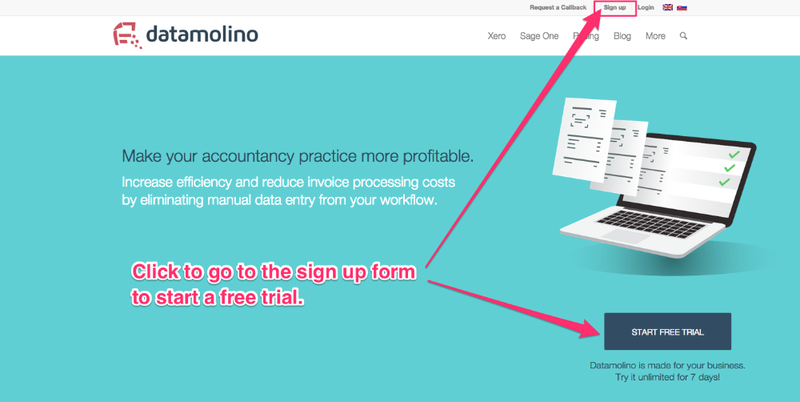 Just click on "Start trial" or "Sign up" anywhere on the Datamolino homepage. You can also go to https://www.datamolino.com/register and create an account. Register by providing your contact details at app.datamolino.com. If you have a voucher or a promo code, please enter it now (click on the link below the sign up form to enter the code).